The Whitechapel Gallery is thrilled to confirm that the London Art Book Fair is back – with a bold and fresh approach to showcasing the best in independent publishing and brand new releases. We invite exhibitors to apply now to join us from 6 – 9 September 2018. With a history of attracting over 10,000 visitors in four days, the London Art Book Fair returns as the opening highlight of the Whitechapel Gallery’s autumn season; taking over the two prestigious ground-floor galleries, the fair is now fully integrated into the Gallery’s core annual programme. For the first time, the fair also offers a democratic experience of art book publishing for both visitors and exhibitors, with an A-Z approach to table organisation and dynamic pricing. Side by side will be big and small, local and global. To celebrate and mark significant changes taking place, over the coming months we look forward to launching the look for the fair, a vibrant mix of publishers, exciting new art books, expert talks and family workshops via our media partners, outdoor advertising and social media. 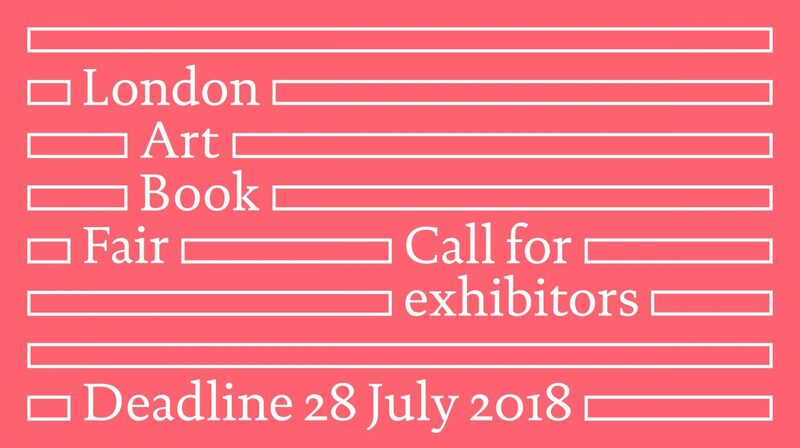 Don’t miss the chance to be one of 80 exhibitors in the London Art Book Fair at Whitechapel Gallery this year. The deadline for submissions is 28 July 2018.